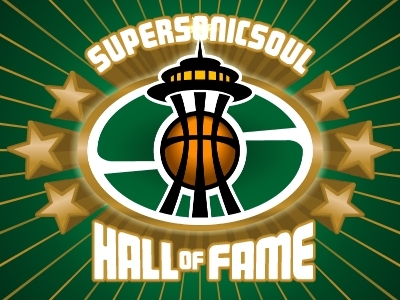 The Sonics are due to play the final game of the season tonight against the Nuggets. After 81 games of band-aid-pulling pain, we fans will finally be rid of the horror that was the 2005-06 come about 10 pm tonight. Was it a good year? No. Were there memories to be had? Yes, but be sure to tune in next week for our full recap in the Sonic Yearbook. But to more pressing matters: Jermaine O'Neal. According to Marc "I'm Not Making This Up!" Stein, O'Neal is rumored to be headed for Golden State. As a Sonic fan, let me say one thing: Rick Sund, pick up the phone! Now, I don't know if Indiana is really interested in dealing the best young center in the NBA (I'm looking at you, Yao), but if they are the Sonics would be foolish not to take interest. Let's see, he blocks shots, scores down low, grabs rebounds, and plays hard. Um, can I have a second helping of that, please? To make it work, the Sonics will need to throw a lot of salary back at Indiana, and that means either Ray Allen or Rashard Lewis. The key would be the Pacers' intentions with Peja Stojakovic. If Peja and the Pacers consummate their brief fling with a long-term deal, then there's no room in Indiana's inn for Lewis, and I can't see them wanting Allen, either. If, however, Peja winds up in Chicago as has been rumored, the Pacers wouldn't mind having Lewis to fill his spot. So, how about Lewis, Fortson, and either Petro or the #1 pick for O'Neal? It works economically and helps both teams. Don't you love not being in the playoffs? So long as it's Lewis on the block, I'm all for it. We don't need the draft pick anyway, Fortson is gone & with J O'N either Petro or Swift are expendable. I don't think the Pacers want Peja back, so let's go! has a good article about Fortson being one of the best trade commodities in the nba. How about we shoot a little lower than oneal and trade fortson and the draft pick. More info please... who is GS going to give up? Stein didn't specifically say who would be moved, but he mentioned Ike Diogu, Mickael Pietrus, and Monta Ellis as bait. He didn't mention which big-salaried player would be moved (which has to happen with the salary cap), but one or more of Davis, J-Richardson, Troy Murphy, and Adonal Foyle would certainly have to go. If I'm Indiana, and I'm choosing between Fortson's expiring contract/Lewis/#1 pick and whatever Golden STate is offering, I'd be a fool to take the Warriors' offer. Everyone here slags on Lewis, but consistent 20-point scorers in their prime are rare; and when you throw in the #1 pick and an expiring contract it gets even sweeter. Heck, the Pacers could take Lewis, let him walk, let Fortson walk, and then be in prime position next summer to get whoever they wanted as a F.A. Of course, this is all contingent upon Indiana getting rid of O'Neal. I still can't see them doing it, only because All-Star centers are more rare than good Paul Allen haircuts. If Mullin is true to his word and Davis and Richardson stay, who does he put around them? The most tradeable commodities are Richardson -- who is coming off a career year and was the team's heart and soul -- and the youngsters, including Ike Diogu, Andris Biedrins and Monta Ellis. Richardson and Murphy will lose their base-year compensation tag this summer, the same clause that Dunleavy will gain as a result of his contract extension kicking in (which will make him almost impossible to trade). Logically, that leaves Murphy as the strongest candidate to move as part of a package that might also include the Warriors' first-round pick in June's draft. Deal sounds great and would immediately make us contenders again. However, we'd have a huge hole at the 3 that I'm not confident Wilkins could fill. That also leaves us with almost no consistent outside shooting besides Ray. Also, Jermaine O'Neal is more injury-prone than Rashard. That's my biggest concern. Do it, pull the trigger, I'd love to see J O on the true Green and Gold (that's for you Nuss & Lance, ya damn water fowl). O'Neal has missed time the past two seasons, but before that he was a reliable player (70+ games for 4 straight years). Losing Rashard would put a hole at the 3, but if the Sonics could make the deal without giving up the pick, they could easily find a decent guy in the draft to fill the hole. Remember, the new 3 wouldn't need to score 20 points a game like Rashard does. In fact, with Wilcox, Allen, and O'Neal, there's no reason the Sonics couldn't get by with Wilkins in the lineup if his defense was good enough. If not, they could find a defensive-minded veteran for a decent figure. Thanks for the link, Slick. The crazy thing about that article is that I don't see any way the Warriors could get O'Neal without giving up either Richardson or Davis. It just can't happen, because the Pacers aren't idiots and they won't give up O'Neal in exchange for GSW's crappy, overpaid guys (i.e., Foyle, Murphy, Dunleavy). Either Mullin's lying, or Marc Stein (or his source) is full of crap. I'll bet on the latter. As long as it's for Lewis, go ahead. 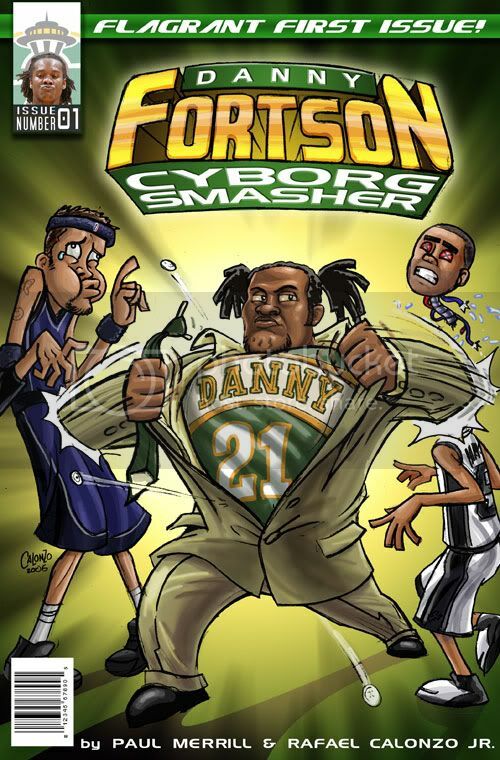 They can have Fortson too- for FREE! Seriously though, Jermaine O'Neal gets injured playing Monopoly- IT'S NOT WORTH IT! I would love seeing Wilcox and O'Neal in the same lineup... wow! Murphy would be a good pickup, but I doubt the Warriors would let him go this offseason. "Seriously though, Jermaine O'Neal gets injured playing Monopoly- IT'S NOT WORTH IT!"